Added on January 1, 2015 by Jon Krohn. 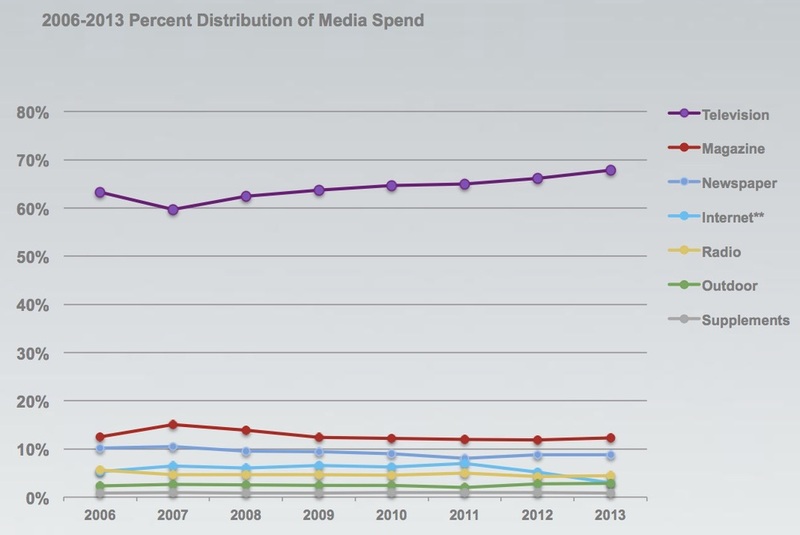 Jed Meyer, Kathy Grey, and their research team at the Omnicom Media Group put together a tremendous report on the 2014 trends in media. I've grabbed a few of their most instructive figures across television, print, radio, mobile, gaming, and the out-of-home categories, and summarised them here.